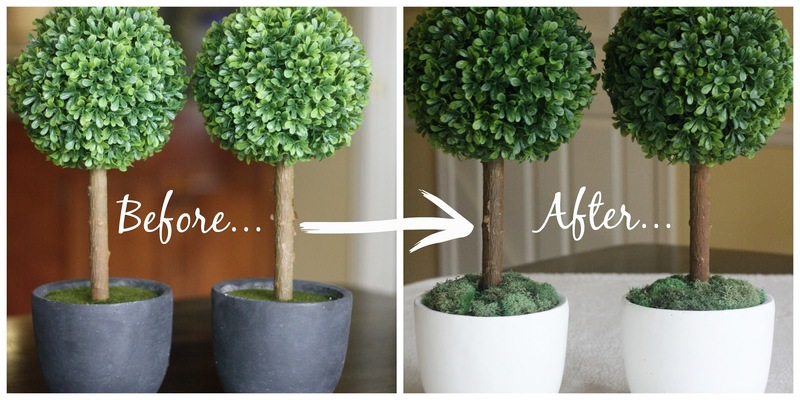 A couple of weeks ago, I wrote about my topiaries from Home Goods, and how I planned to brighten them up. Last weekend I did just that with Valspar's Cream Delight, a paint sample I had. Here's the before shot. The bowls are dark and they blended in with the table. I put the first coat of paint on with the brush above, and the second with a sponge. The sponge provided better coverage, but not so much that it took away the antiqued look I was hoping for. The faux moss was dark too, and it looked almost black unless the sun was shinning directly into the bowl. 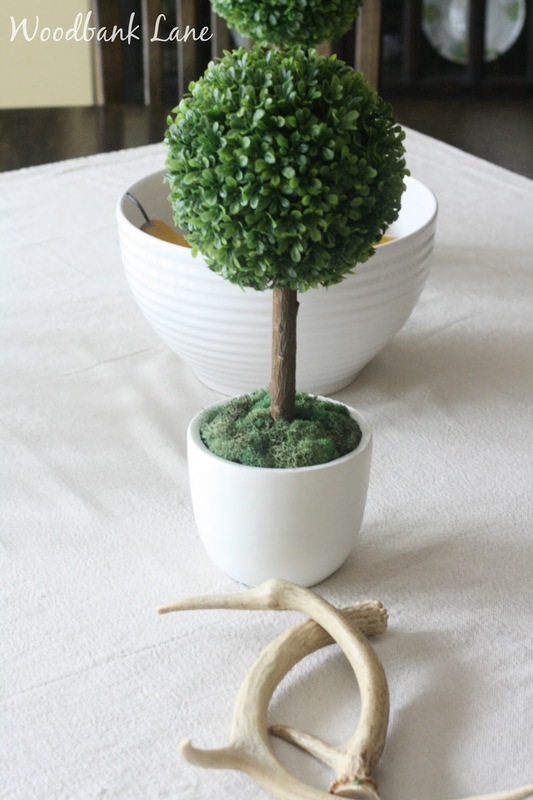 I changed up the look of it as well with Ashland's Reindeer Moss from Michael's. I'm glad I didn't let the dark bowls keep me from snatching these up. When something catches your eye, but one small thing is holding you back... before you pass it up, leave it on a shelf, or think you'll find a better one, remember, "where there's a will, there may be a DIY way." 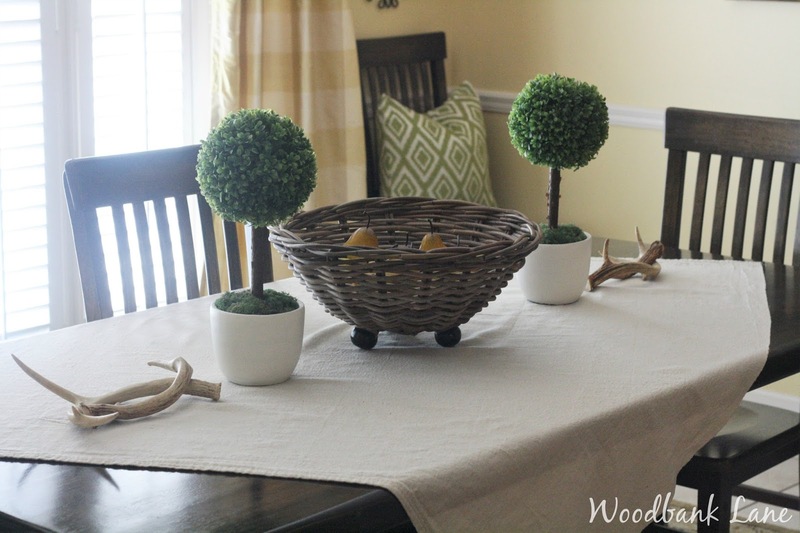 And so ends the tiny topiary project... By the way, that's not really a table cloth.